Another month, another legend run...Alright, alright. Fine. So it's been a month or two since I last made the climb, whatever. The new set has reinvigorated my love of the game, and I'm not apologizing for that. I am having an absolute blast with the Witchwood so far, and I recently made my legend climb with Hadronox Combo Druid. Though the archetype has become a bit more popular over the last day (I'm writing this on day four of the expansion) I largely crafted the idea behind building off the ideas I explored in my theorycrafting guide. 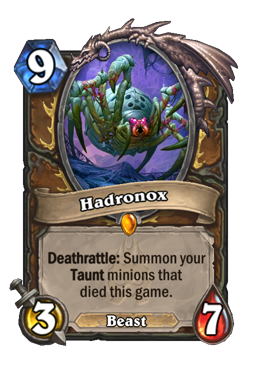 However, rather than using Witching Hour to bring back a ton of big beasts, you use it bring back one: Hadronox . You all know I love me some combo builds, and today we're teaming up with Malfurion to bring up taunts, taunts, and more taunts. The Combo Before we begin, it is vital that we get into how you actually win with this deck. The idea behind it is quite simple. 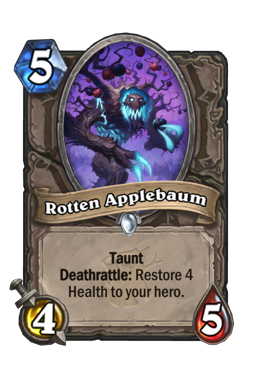 You play a bunch of taunts (in this case you have Rotten Applebaum , The Lich King , and Primordial Drake ). Then, you play Hadronox , kill her (either by trading or with Naturalize ), bring her back with Witching Hour , and then kill her again through either trading or Carnivorous Cube . That then leads to a massive, never-ending board of taunts that not a single deck in the meta (and I mean that) can keep up with. Even with two taunts, you can quickly build an unbeatable board because you can just replay them over and over. Each time Hadronox dies the taunts she makes get multiplied, which means the longer the game goes on, the stronger and stronger your combo gets. Though you typically only need one trigger to beat aggro, you want two or three to take down midrange or control. Just don't worry about the order your combo happens in. It can be natural to think that you need to get all of your taunts to die and then play the spider. But waiting around in that way often just leads to problems. Rather, you want to throw the pieces out as they come. As long as something has died, Hadronox is good to go. 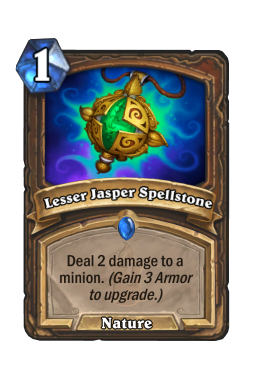 Lesser Jasper Spellstone/Naturalize There are several powerful cards peppered throughout this list, but two of the most important are Lesser Jasper Spellstone and Naturalize . In order to be able to play a build like this one effectively you have to be able to make good use of your mana. These two cards help you both take care of your important spells while also controlling the board. 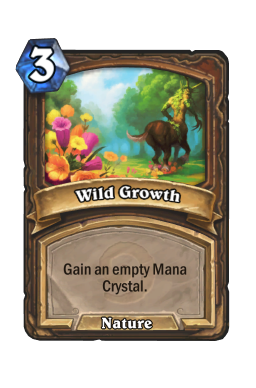 For instance, being able to ramp with Wild Growth on turn three and kill a big threat, or set up a Branching Paths and remove a midrange minion on five. That one extra mana happens a lot with all of your different ramp options, and being able to do something with it is incredibly important. That fact that these two cards are removal gives you a lot of extra versatility. Try your best to plan for your future turns and think about when and where you're going to have extra mana to burn. Naturalize is not a card I ever expected to run in a serious deck, but one mana removal is incredibly powerful for a combo build. 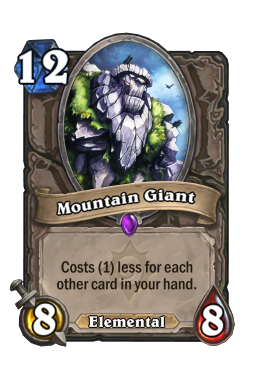 Not only does it blow out control decks by burning their cards (a nice bonus against Warlock) but it easily gives you a way to clean up things like Mountain Giant without having to use too many resources. 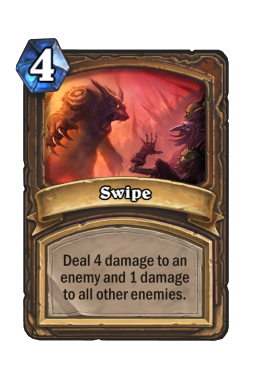 This card is also fantastic at killing off Hadronox . While burning one is fine, you typically want the second for the spider against anything other than heavy control. Think about how badly you need her to die, and plan accordingly. You never want to give up a combo piece by overreacting to a threat. It is also important to always keep track of your spellstone triggers. Always take armor options on things like Branching Paths when you know you're going to need the bonus damage. Greedy Sprite There has been quite a debate online about the different ways to build this deck. Though 20 or so cards are stock, the other 10 have a lot of wiggle room. A lot. You can run a slew of tech cards in this list, and in my version there are a few. Even so, I do not think you should run this deck without Greedy Sprite . 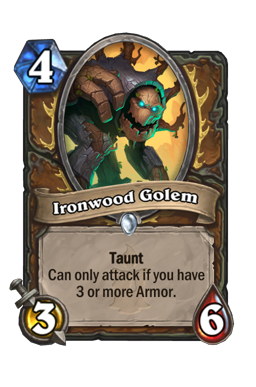 Many people have two Ironwood Golem s in this spot, but that feels wrong to me. 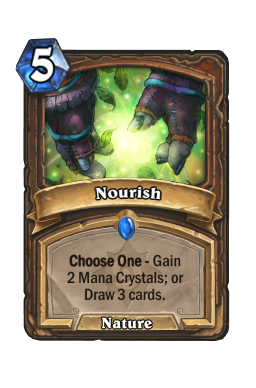 You are a Druid deck, with a high curve and a lot of combo pieces. That means you need mana and you need as much of it as you can get. 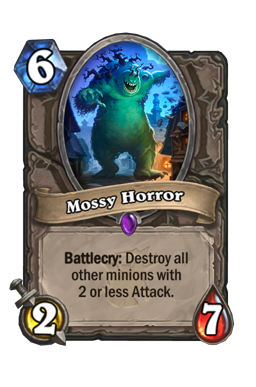 Yes, Golem is better against aggro, but with the inclusion of Mossy Horror you have many different way to beat the swarm. 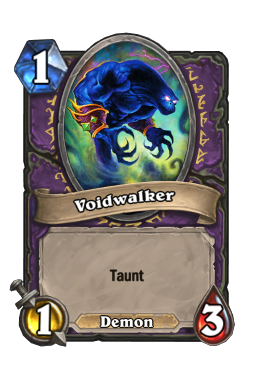 One extra taunt typically won't make that big of a difference, especially with all the Warlock's running around. 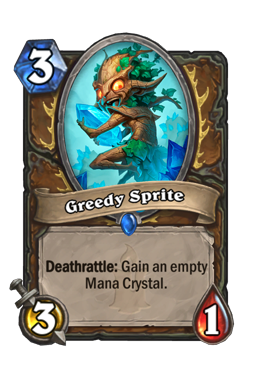 Greedy Sprite also has the additional bonus of being an early body that your opponent doesn't want to kill. That means it often gets in good trades and can double as removal. While Oaken Summons is not a card I love, it does work to pull the sprite from your deck with some extra consistency. 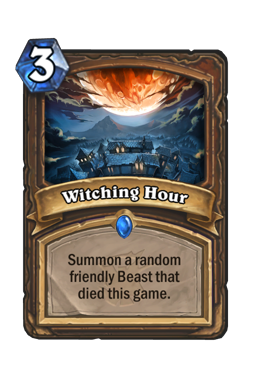 This is a card you almost always want to prioritize when you can get it because, unlike your other spells, it is delayed ramp. You don't get the bonus immediately, which can matter. When looking at how your hand is going to play out, always see a chance to get this against your opponent. 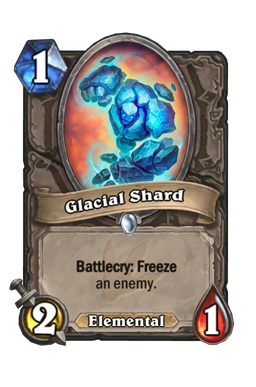 It can even be right to get a Sprite or a Summons down against an aggro opponent if it gets your a big AOE play quicker. 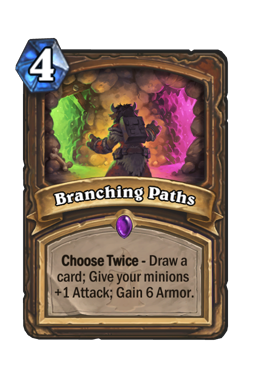 Branching Paths Branching Paths deserves special mention because it is the strongest card in this list. Yes, it does not actually win you the game in the same way that things like Hadronox do, but the versatility of this card is absolutely fantastic. Every option on this card is relevant and will help in a range of different situations. Twelve armor is incredibly important in the current meta and can help you in a lot of ways. Not only does it stabilize when facing things like Odd Hunter and Baku Paladin, but it also stops any surprise burst from decks like Odd Warrior, Tempo Rogue, or Cubelock. 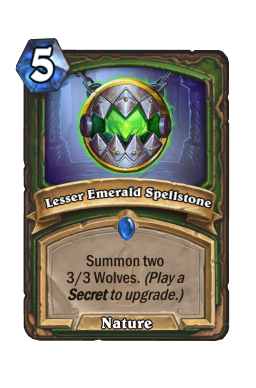 The armor option is also important because using it twice instantly upgrades your Lesser Emerald Spellstone , and it can also serve as a great way to buy a turn when you need a bit of breathing room while pushing toward your combo. A lot of the time you're going to play to this card based on what else is in your hand. Card draw always feels like the right choice, but that greatly depends how much other draw you have. This deck has a surplus of draw options. So much so that you can't possibly use them all. For that reason, you're often going to find yourself in situations where your seven card hand has Nourish , Branching Paths and Ultimate Infestation . 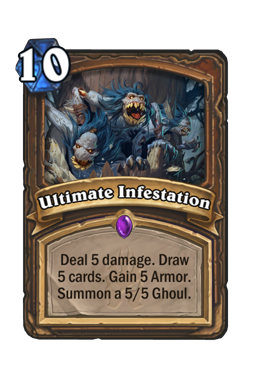 Infestation is always the correct choice, but you also need space because you can never afford to burn cards with this list. In that situation, you want to use this for armor to clear room. 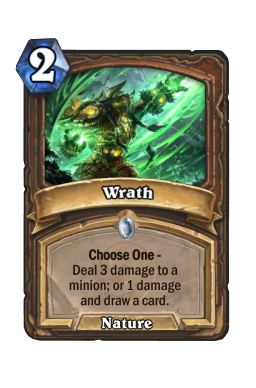 In addition, the damage on this is a great way to get lethal once you have a board full of taunts. Hadronox While we touched on the combo above, I wanted to go into a little more detail about the big bad spider herself. Hadronox has always had potential, but she's never quite been strong enough to see play. Now is her time to shine. However, she is not a card that is easy to use. The most basic way you are going to run her out is by dropping her down and then hitting her with Naturalize . Yes, you give your opponent two cards, but that doesn't matter when you're building your combo. Your opponent can only use so much mana anyway. It is vital to remember that decks cannot push through your taunt wall once it gets going. The spider always need to be your first priority. So much so that, if you have some dead taunts, you need to get her down as soon as you have the option. Another extremely important note is that Hadronox is not the card you're worried about getting silenced, Carnivorous Cube is. 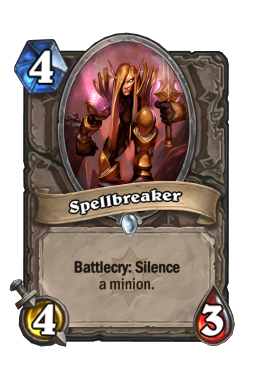 That is a very important distinction because many people hold the nine mana legendary back in feat of silence. Unless you're under a ton of pressure or against a deck that can transform the spider, you're in no hurry to have her die. If she gets silenced, fine. Just bring her back with Witching Hour . In fact, I will often run her out on turn nine to see if I can bait out silences before I get my cube going. That goes double when facing a slow control deck that could be teching in Spellbreaker . The four decks I see the most while playing the ladder. Odd Paladin While I have seen little to no Odd Paladin since hitting legend, it was a big part of my climb. It was also a big reason for my success. As strong as Paladin is, they are not good at dealing with recurring taunts. 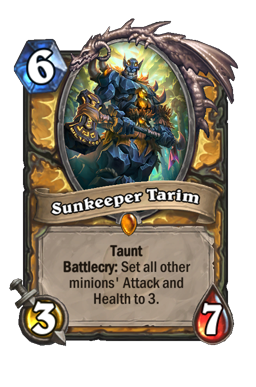 Your roadblocks do wonders at holding them back and, barring them getting lucky with a Sunkeeper Tarim off of Stonehill Defender , they are going to have to invest quite a few resources pushing through. They also have a big problem with any type of AOE. 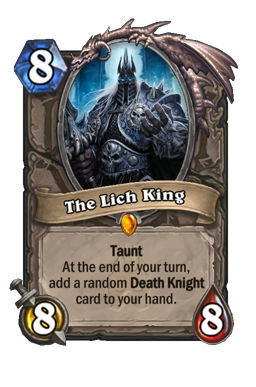 In this list you have five strong cards to battle Uther with. 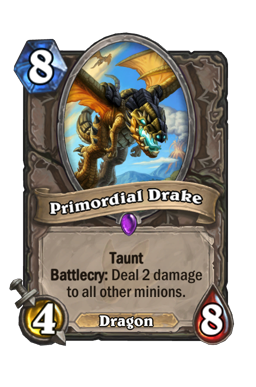 Double Swipe helps stop them from building too quickly early on, Mossy Horror is solid for the middle turns, and Primordial Drake cleans up any final stands at the top of your curve. Everything here is about racing towards your taunts and keeping their minions in check. Ramp as hard as you can early on so that you can get to your big taunts quicker. You should always accept some damage to build up. The biggest note in this matchup is to make sure your opponents do not have a board of recruits by turn five. Level Up! is a devastating card that you cannot answer. In fact, if your opponent hits it with any consistency early on, you might as well concede. However, do not panic. Unless they have coin, your opponent cannot readily put on any real pressure until turn five at the earliest. Sure, they may have a board of small minions, but that won't kill you and it can be easily offset by gaining extra armor later on. As important as ramp is, it is perfectly fine to take things a bit slower in this one. Wrath ing or hero powering down Silver Hand Recruits early on before getting to your heavy hitters is perfectly fine. Paladin can do many things well, but they often need a wide board to make that happen. Eventually you're going to draw into a clear, it is fine to bide your time until that moment comes. 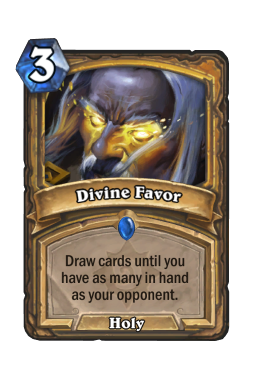 Paladin will ref-fill after they lose their board, but by that time you should have plenty of taunts. Cubelock For some reason, every Warlock seems to have trended back towards Cube. Though straight control was popular before rotation, those days appear to be long gone. This game is going to be your best by a long shot. 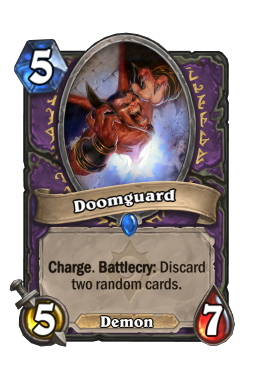 As strong as Warlock is, they simply have no way to deal with a board of rapidly growing taunts. Two or three Hadronox triggers will almost always lead to lethal. 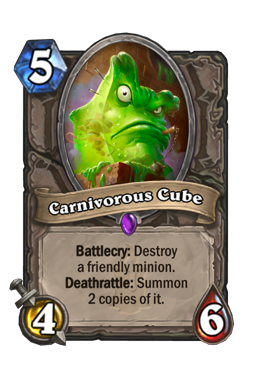 Just be careful about your opponent silencing your Carnivorous Cube (which protects you from AOE). Spellbreaker is a common tech choice among today's Warlocks, and you never want to let it blow you out. Rather, test for it by dropping down Hadronox and seeing how your opponent reacts. This is not a game where you need to kill the spider on your own (though you can if you need to get ahead or get your combo going). Most of the time I'll slow roll her, but immediate impact does matter if you're trying to stave off endless Doomguard s. Naturalize is an incredibly important part of this matchup. The only way Warlock tends to be able to win is if they can burst you down before you get your combo together. A big part of that is them setting up a turn four Mountain Giant . While it can be easy to want to burn your opponent's cards to interrupt their combo, it is much more important to ensure that they cannot leverage any big threats against you. 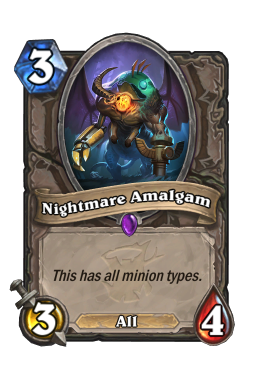 As soon as you see something big (including a Doomguard that they may be able to combo) you need to kill it right away. The other important note in this one is to try and save a Branching Paths for your combo if you can. Warlock is defensive in many ways, and they will try to drag you out as the game goes long. Being able to give all of your taunts plus 2 attack can quickly shut things down. 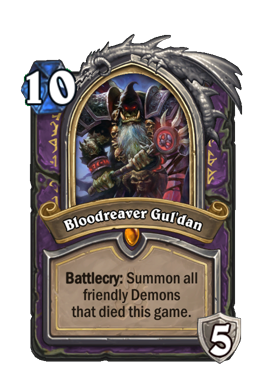 In addition, keep Mossy Horror for Bloodreaver Gul'dan when possible. The 2/7 is great for clearing out annoying Voidwalker s. Spiteful Druid/Priest For the first time in history (I've seriously never done this before) I'm lumping two different classes together. That is because, regardless of what you're up against, Spiteful decks all play the same. This is a game where, unlike others, you're going to take the role of control. Not strict control in the sense that you need to go to fatigue or grind your opponent out of cards, but in the sense that you want to spend your early/mid turns ramping and clearing before setting up the big finisher. Your taunts are absolutely fantastic in these games because, as Spiteful decks have no removal spells, they have to fight through every single one. That then means it is very easy to build to your finisher once your get a few walls out. Just be careful about falling too low in life and always think about your opponent's damage potential. All it takes is one unanswered big minion to give you trouble. This is a game where it is ok to gain a bunch of armor to keep your opponent off your back. 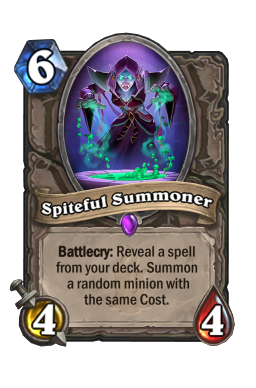 Spiteful Druid is a matchup where you are quite favored. Just think of it as a pseudo-mirror match where you have access to ramp and your opponent doesn't. Always prioritize those extra mana crystals and work hard to play. 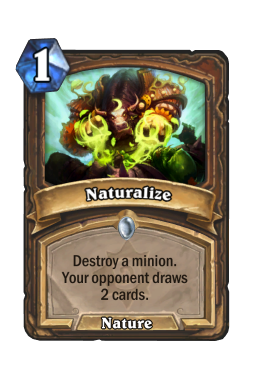 You also want to do your best to find a Naturalize before Spiteful Summoner drops on turn six. If you don't have one, draw aggressively on four and five for it. The big thing you need to be aware of when facing Spiteful Priest is that they have access to Mind Control, and they will use it to steal Hadronox. Though will often get one, you typically don't mind that. Just make sure that the spider dies the first time so you can resurrect her later on. Playing the nine drop with Naturalize on turn ten is essential to winning this game. In fact, you will often lose if you don't. Typically, you kill her, then cube her. That should be enough threats to close the game out. That is also a matchup where saving a Branching Paths for the combo helps you get lethal before your opponent can respond. Odd Hunter Our final deck in this section is Odd Hunter. Though fading in popularity (I expect this one to dip down even more in the coming weeks) I still see it enough that it's worth mentioning. This game is going to be one of the most difficult because, as strong as you are in the longer games, this is not a long game. You have to be able to get on your opponent quickly by setting up multiple walls. 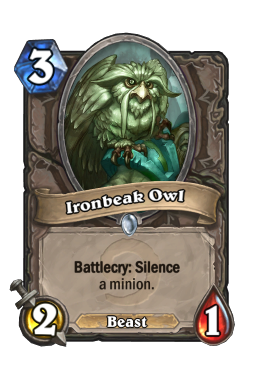 Your first taunt is almost always going to be shut down by Ironbeak Owl , and by the time you get more you are going to be at the mercy of your opponent's hero power. The way you offset those problems is by sticking a wall and healing up as much as you possibly can. 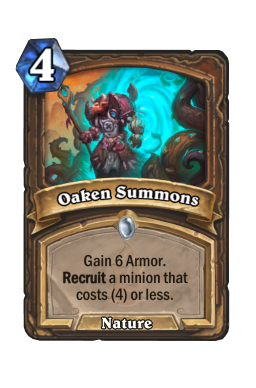 Oaken Summons does a great job of buying you extra time, and your AOE options also work hard to clear your opponent's board. Two taunts will shut down the board, and then your armor will put a cap on burst. Do not worry about your combo at all in this one. It may seem natural to try and go get as many taunts as possible, but you don't care about getting a wide board. Rather, you just want to run your opponent out of cards to the point where you can safely heal outside of any top decked burst. Be careful and try to hit your hero power as much as you can. As complicated and as nuanced as this deck is to pilot, there isn't too much to think about with the mulligan. Unless you have ramp that alters your curve and enables you to rise up quickly, you generally want to look for early ramp. Wild Growth , Wrath , and Greedy Sprite are your three must keeps, while everything else is largely situational. 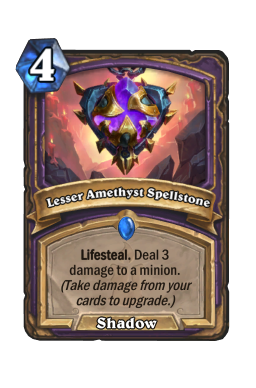 Lesser Jasper Spellstone is great against non-Odd Paladin aggro and midrange decks, Swipe is strong when facing all aggro, and Naturalize is an auto-keep when you're up against Warlock. 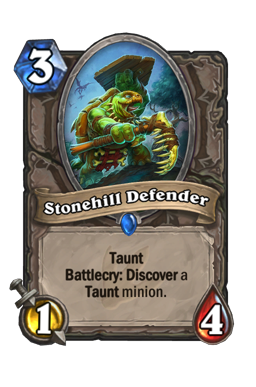 Beyond that, play to your early ramp and only keep higher costed cards if you can hit them ahead of your regular mana. I'll just never get tired of new sets. There are so many fun decks out there right now, and they all seem to have a lot of potential. I am not sure which ones are going to shake to the top once the dust settles, but you better bet we're going to be analyzing a lot of different lists in the coming month. I always enjoy playing a list that I made, and it feels even better when you get to the orange diamond. I know there are other people playing the same thing, but, as they say, great minds think alike. Until next time, may you always Hadronox on turn nine or ten.